August 11 Service Saturday—Indoor and outdoor maintenance at Eli’s Place: yard work, painting, pulling up and replacing subfloors, and replacing vanities. Expect several more work parties at Eli’s Place. Geoff Schmidt will contact those who sign up to give them the location. Many Thanks to our Photographers! 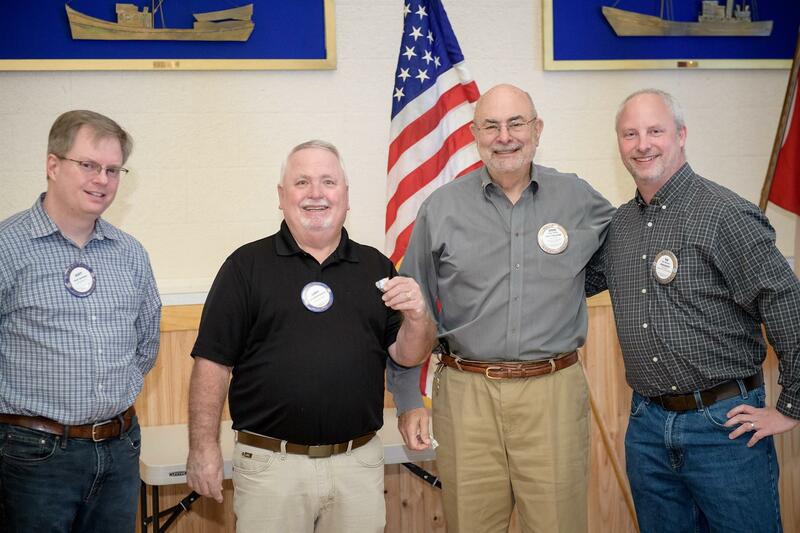 President Tim Nichols (right) thanked the club’s “official“ photographers for their fine photos at club meetings and events. Thanks to Scott Sorensen, Larry Bartholomew, and Steve Garfein. Club President Tim Nichols provided a summary of the most recent Board Meeting: The club has 143 members with an average attendance of 65%. The initial budget for the club is $84,000, with approximately another $60,000 coming soon. Tim will hold about $10,000 in discretionary funds to be given to individuals for appropriate individual projects. We received $2903 from the Kitsap Great Give. The Board approved applying for a grant for repairs and maintenance at Eli’s Place. Shannon is in her 2nd year as president of the North Kitsap Schools Foundation and has been on its board for 6 years. 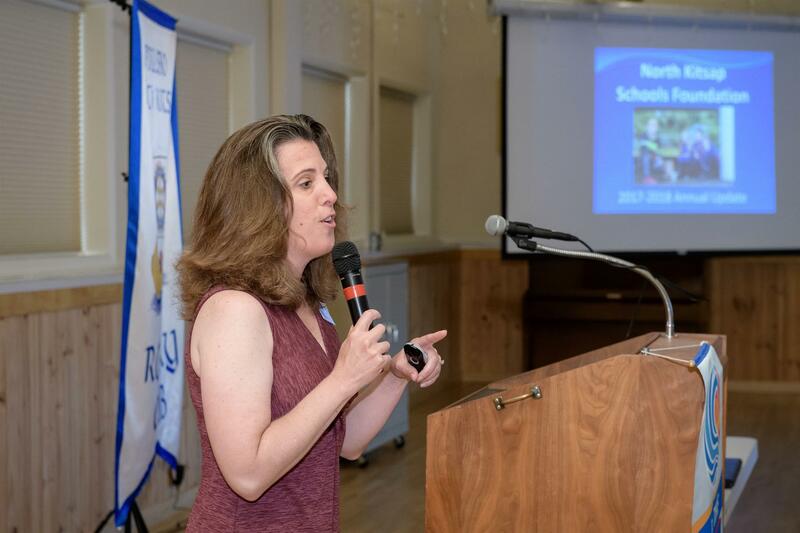 She has a degree in Speech/Language pathology and is the Assistant Director of Assistive Technology for North Kitsap Schools, providing low and high-tech ways of allowing students to communicate with teachers and with staff. 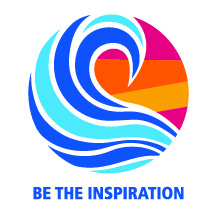 The Foundation In 2017-2018 awarded over $52,000 in grants to teachers for projects in the classroom in all ten NKSD schools. These comprised 29 grants, at least 2 of which went to each school. Grants ranged from $100 to $5,000 each. The grant selection process prioritizes projects that go directly to the students. Shannon presented some examples of how Rotary donations have been used at NK Schools. In one Rotary funded project, NKHS bought iPads to allow the Athletic Treatment Project students to learn anatomy and athletic treatment skills. They are using them now to provide services to student athletes, such as taping, and other treatments to save $800 to $1900 daily in PT and other treatment cost. The Team also competes in regional treatment competitions. In another project students formed an Assistive Tech Team that used educational software equipped with assistive devices to help severely limited students to change a screen on a computer or draw a poster using a switch as an input device. Yet another did a molecular biology experiment to genetically modify bacteria to make it glow! One school held a school-wide STEM day where students experimented with robotics, made rockets, flew kites, and in an “inverse filed trip” the Museum of Flight came to the school, and Navy personnel from Bangor helped out. Shannon was awarded a Paul Harris Fellow in September 2017 by Poulsbo Rotary for her great efforts as an advocate for kids, education, and our community. Paul Harris Awards represent a $1000 contribution by club members to the Rotary International Foundation, in this case given in the name of a deserving member of our community. The community member receives a certificate and pin from Rotary International commemorating the award.